How do you play DVD on Samsung Smart TV? In the past, people used to connect a DVD player to Samsung TV using an HDMI, composite, component, or S-Video cables, then insert a DVD disc into the DVD player, and use the remote control to select the chapter and play a DVD on Samsung TV. It requires many steps to connect a DVD player to a TV. Besides, if your DVD player only supports some specific cables that don’t match with your Samsung TV, you may need to purchase a new DVD player. Instead of taking much time to connect DVD to TV or purchasing a new DVD player, you can try the following modern and fashionable method to learn about how to play DVD on Samsung TV without using a DVD player. 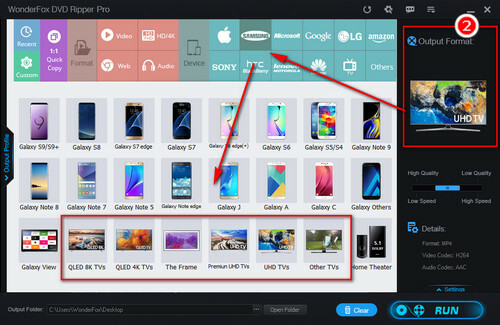 WonderFox DVD Ripper Pro can help you convert DVD discs to digital movie files so you can play DVD movies on Samsung TV via USB drive or Plex. It offers the best presets for Samsung 8K, 4K, UHD, and other TVs. Easy to use and extremely fast. Thanks to Samsung TV's USB port and Plex Media Server, you’re able to play DVD movies, TV series, and even music concerts on Samsung TV via USB drive or Plex without the requirement of DVD discs, a DVD player or mixed and disorderly cables. To achieve this purpose, you only need to extract videos from DVD. As professional DVD ripper software, WonderFox DVD Ripper Pro can quick bypass any DVD copy protection including region code, DVD CSS, Multi-angle, RCE, Sony ARccOS and Cinavia Protection, and convert DVD disc to digital videos, ISO image and DVD folder at a rapid speed. 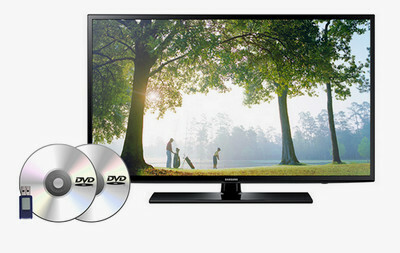 It can also help you to convert DVD to Samsung TV easily and quickly to play DVD on Samsung Smart TV. Let’s follow the how-to guide for Samsung TV DVD conversion. WonderFox doesn’t advocate any illegal duplication and distribution. The laws vary in different countries on whether it's legal to rip movies from DVD for backup and personal use, even if you have purchased and owned it. Please refer to the DVD copyright laws in your countries before ripping a copy-protected DVD. Insert a DVD disc into your computer. 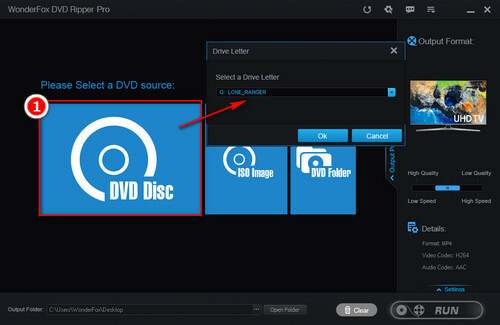 Open WonderFox DVD Ripper Pro, click on the DVD Disc button, select the target drive letter, and click on the OK button. It will quickly detect the DVD source, decrypt the DVD, and select the main movie title. Click on the Output Format button on the right, go to the Samsung tab, and choose your Samsung TV mode. It offers the best presets for kinds of Samsung TVs, tablets as well as mobile phones. 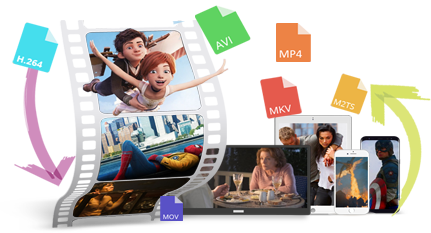 Alternatively, you can choose MP4 under the Video tab so as to play DVD on Samsung smart TV as MP4 is the ubiquitous video format supported by almost all platforms. Tips. Popular devices are added constantly. You are able to play DVD on other devices with ease. For example, you can play DVD on Chromebook, play DVD on Android, play DVD on iPhone X, etc. Click on the three-dots icon on the bottom of the software to choose an output folder. After that, click on the Run button to start the conversion process and resolve how to play DVD on Samsung TV without using DVD players. WonderFox DVD Ripper Pro can achieve the fastest conversion speed compared with similar and top DVD ripper software. By the test, it takes only 20 minutes to rip a 150 minutes DVD to MP4 and 5~10 minutes for DVD to MPG. How to Play DVD on Samsung TV after the Conversion? 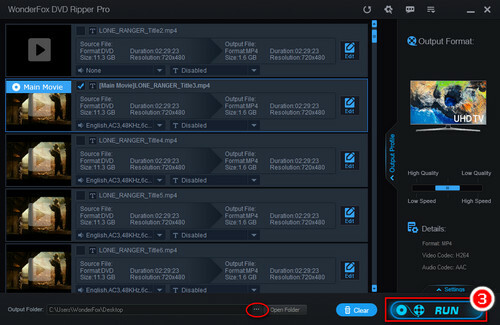 Once the conversion process is finished, you can find the converted movie files in the output folder. You can copy DVD to USB drive and then insert the USB drive into the USB port of your Samsung TV to play DVD on Samsung Smart TV. Besides, you can install Plex media server on your computer, create an account, and add converted DVD movies to your libraries, and stream the DVD to TV. The video converter helps you convert MKV, MP4, AVI, and any other videos to Samsung TV so that you can play any types of videos on Samsung TV without compatibility issues. It enables to convert videos at a fast speed and keeps high quality.